Vattenfall built a 30 MW pilot plant to test oxy-fuel combustion processes with lignite and other types of coal. Tetra Tech used the pipeline-walk algorithm developed for the US DOE FutureGen project to evaluate potential risks from pipeline leaks or ruptures. Multiple routes for the pipeline in the European Union that traverse both rural and densely-populated areas were evaluated. The pipe-walking algorithm used results from the SLAB model of plume dispersion along with site-specific data on wind speed, wind stability, population densities, thermodynamic properties and dispersion characteristics of the transported gases. Next, the simulated concentrations of released gases including CO2 and H2S were compared to European Union time-weighted criteria to estimate potential human health risks for workers within the pipeline right-of-way and the general public. 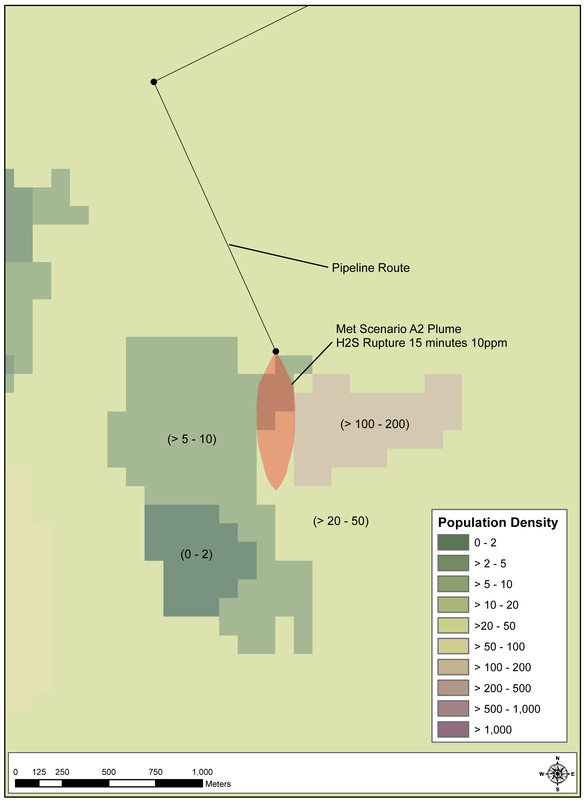 The routine estimated the expected number of individuals affected by pipeline releases at specified intervals along the alternative pipeline routes. Tetra Tech conducted sensitivity analyses for pipeline characteristics, including valve spacing, and provided information on mitigation methods. As part of this project Tetra Tech evaluated existing information on the operation of natural gas and CO2 pipelines in the United States. This information included pipeline safety records and the development and application of safety procedures applicable to CO2 pipelines.